JA Law Firm - Best lawyer and business websites Joomla template is available for download. In this blog post, we will review core features with screenshot of the template. The template supports 7 theme color by default: default, red, blue, cyan, green, pink and purple, You can switch to any theme in the theme setting within just 1 click easily thanks to multiple theme colors support and super flexible layout system. 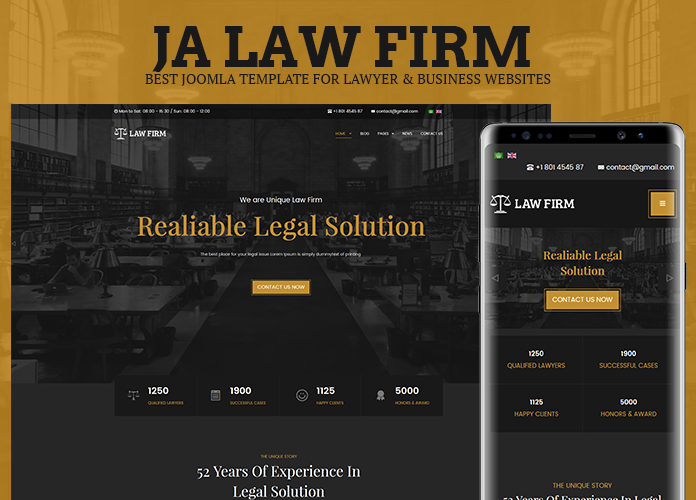 JA Law Firm is a T3 framework based Joomla template with a clean and modern design for Law firm, legal organization websites.